Excellent post. I enjoyed reading this. I am about to make baba ganoush. I did not want to use the broiler. 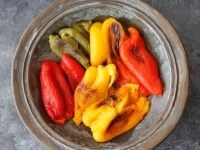 I will roast the peppers instead along with the eggplant. The kitchen will smell wonderful. Your instructions were very helpful. Thank you . 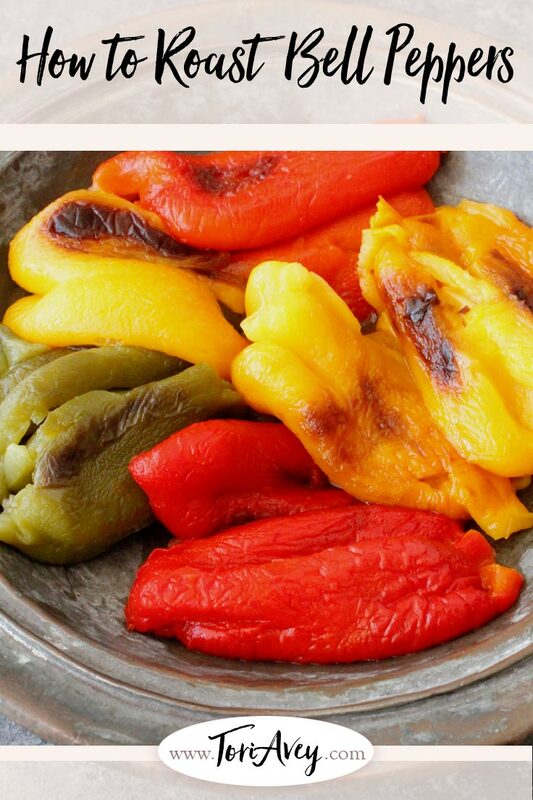 Why do you peel the peppers ? Should be okay to eat with skin on ? 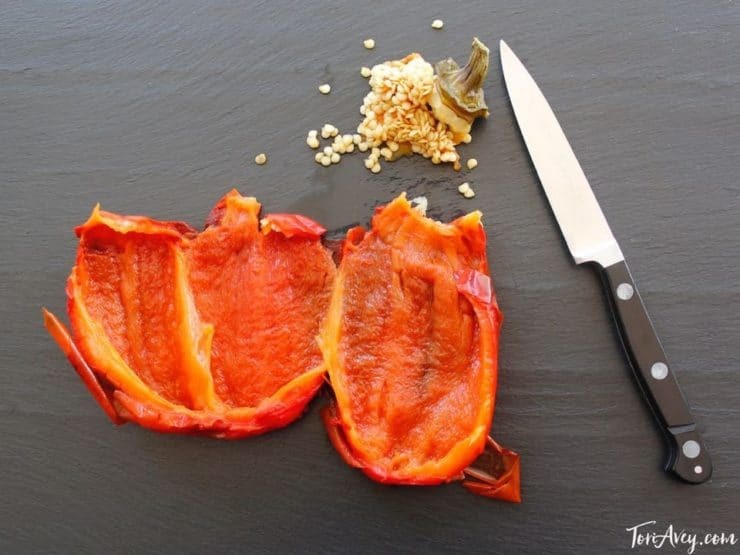 It’s a texture and flavor thing. 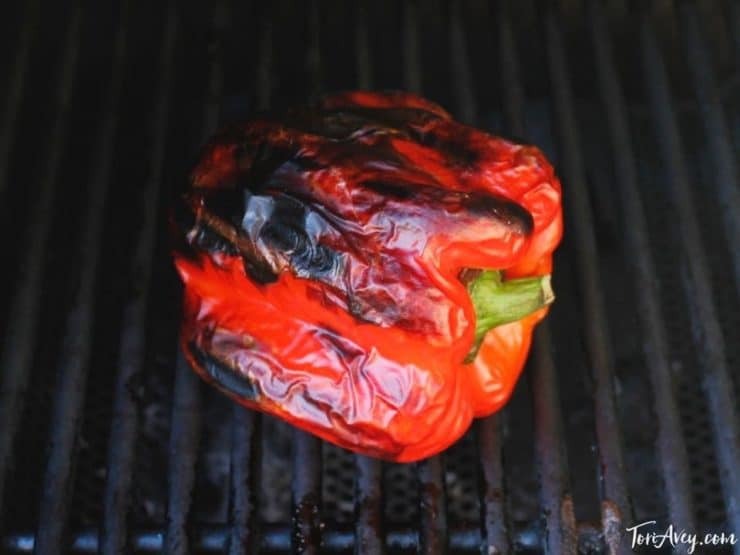 You can certainly eat the skin, but having lots of semi-burned skin makes the peppers grainy and can give them a burned/bitter flavor. 3-5 days. 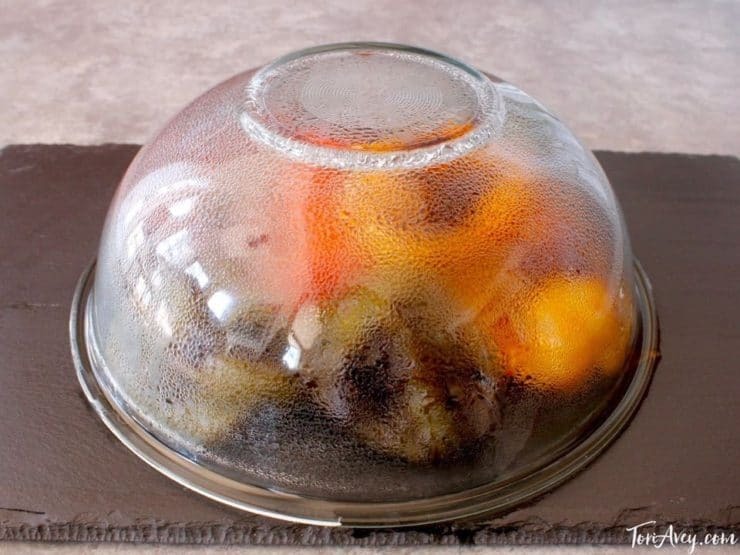 For longer storage I recommend freezing them, as outlined in the recipe above. 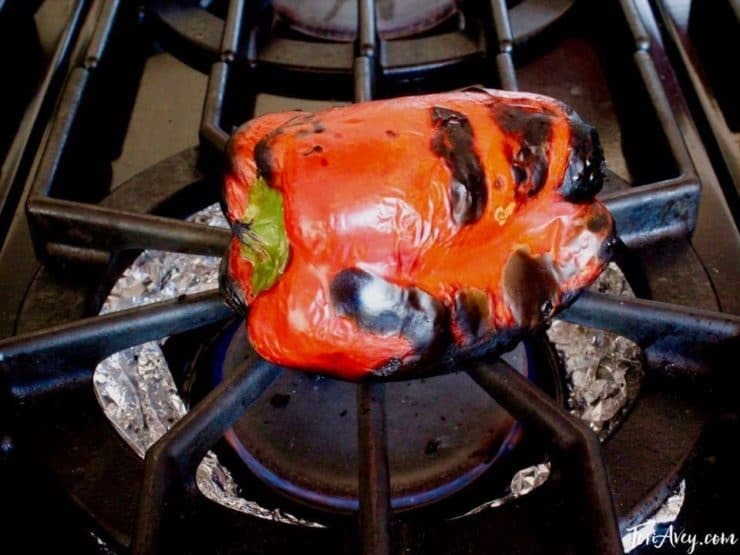 Every time I make pimento cheese I come back to your page to remind myself how to roast peppers. Your method is excellent and eventually I’ll remember how to do it without checking. Thanks! Just curious. 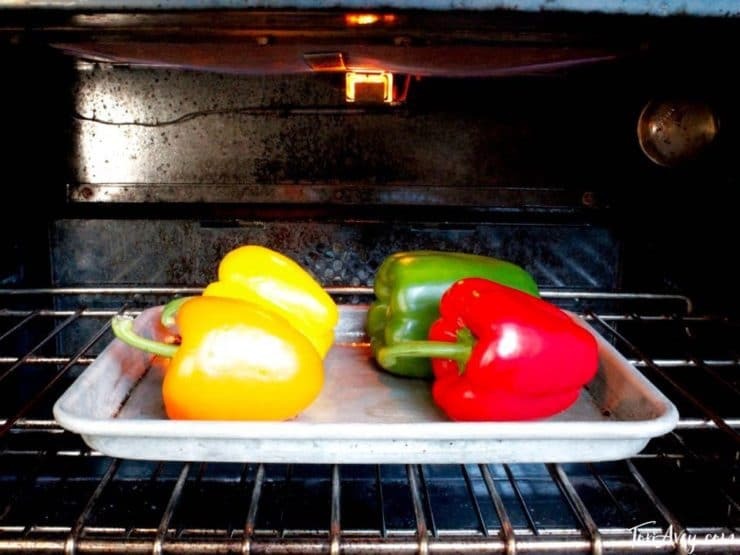 Do you not brush the pepper with cooking oil before putting them in the oven? I was under the impression was necessary. Hi Joe, as long as you brush the baking sheet with oil that is all you need. 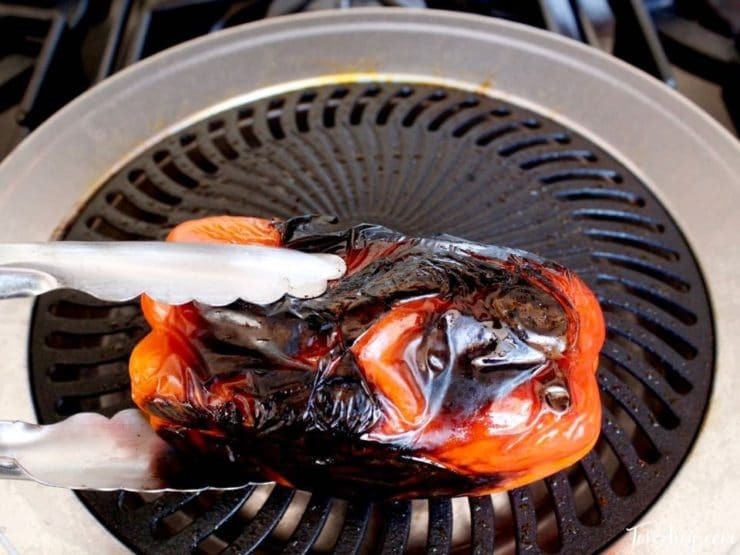 Do you eat the charred skin? Are there nutrients lost if it’s not eaten? I don’t know about the nutrients, but I generally don’t eat the charred skin. 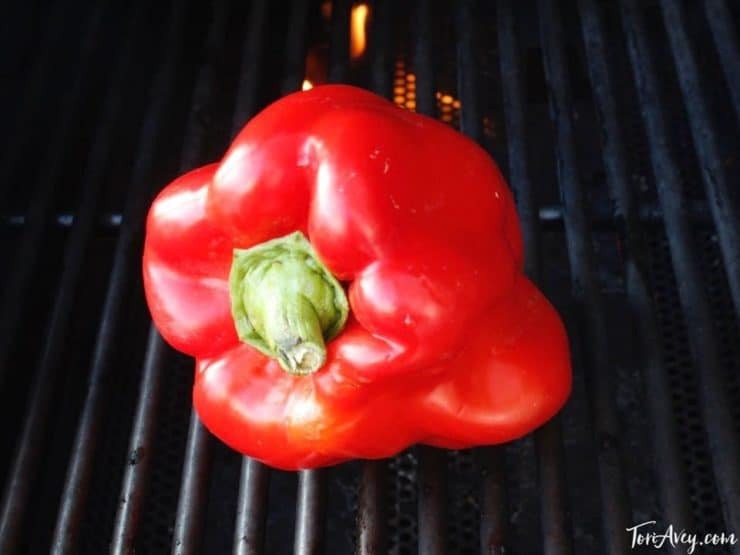 Sometimes a little will linger on the pepper that gets eaten, but generally I think it’s probably healthier without the burned/charred surface. Also the texture is not very appealing with the skin on after roasting. 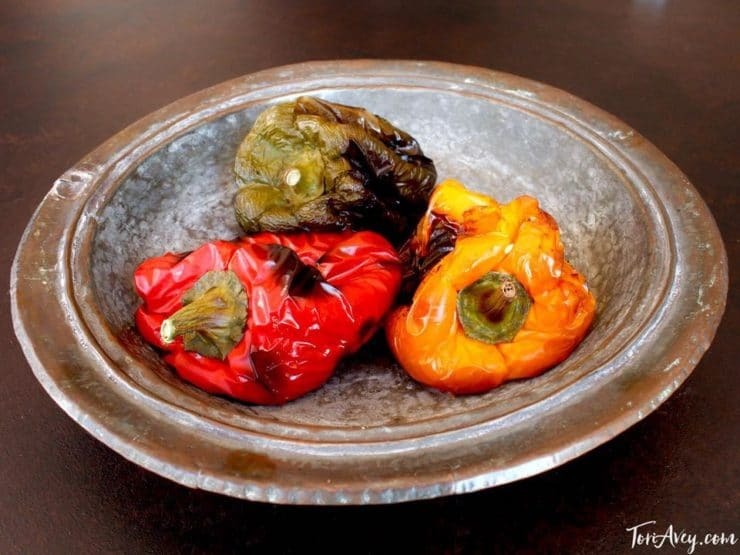 if a recipe calls for roasted peppers (thats what my chili recipe calls for) can you use jar roasted peppers? Hi Grace, Tori’s assistant Ashley here. Yes, canned would be fine. 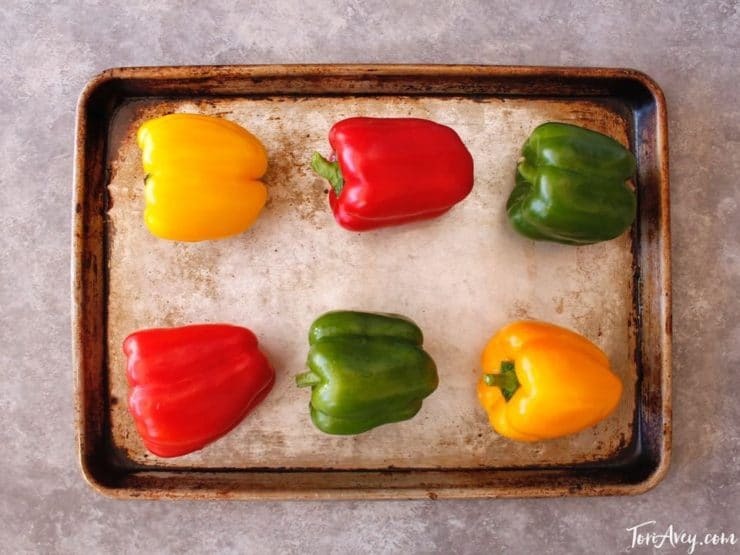 There is NO way that 4 bell peppers have ONLY 4 grams of carbs! 1 cup of roasted red peppers has 9.2 grams of carbs, so there is NO way 4 peppers have only 4 grams. Where did you get your nutrition info from? 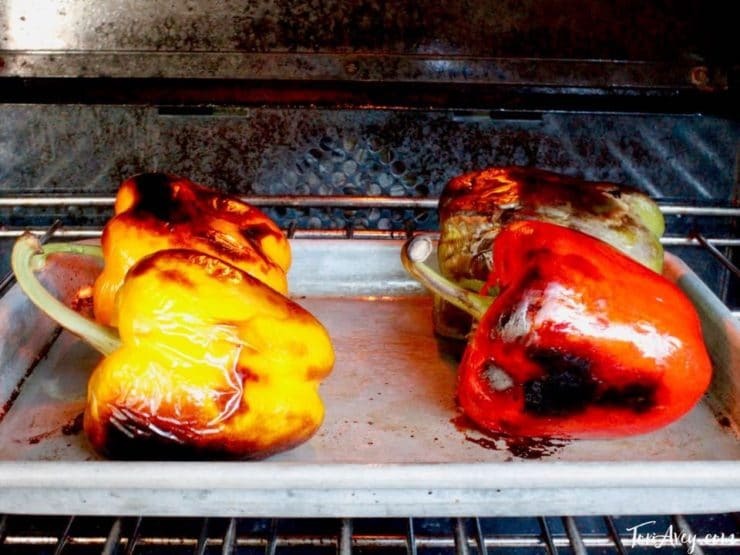 Hi Jim– the serving size is 1 pepper, not 4. My nutrition calculator is built into the recipe and automatically provides nutritional information, which is based on serving size. 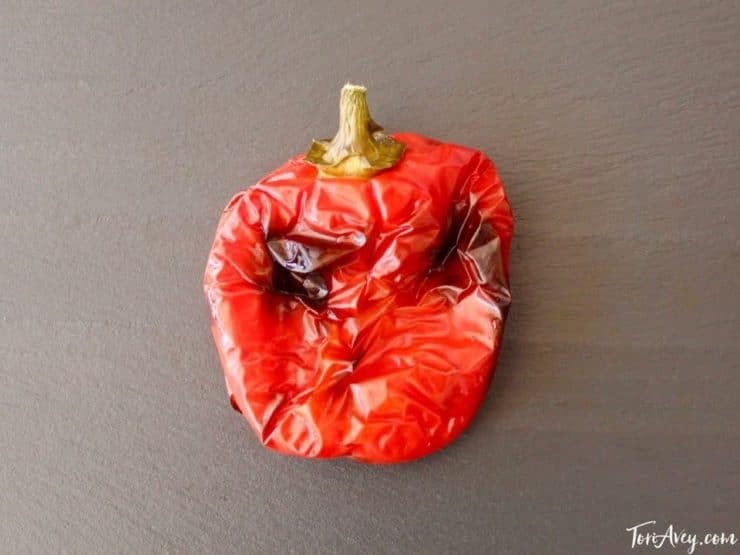 I did recalculate based on your comment and found that the calculator system corrected to 7 carbs per medium bell pepper. Of course this can fluctuate based on the size of the pepper. 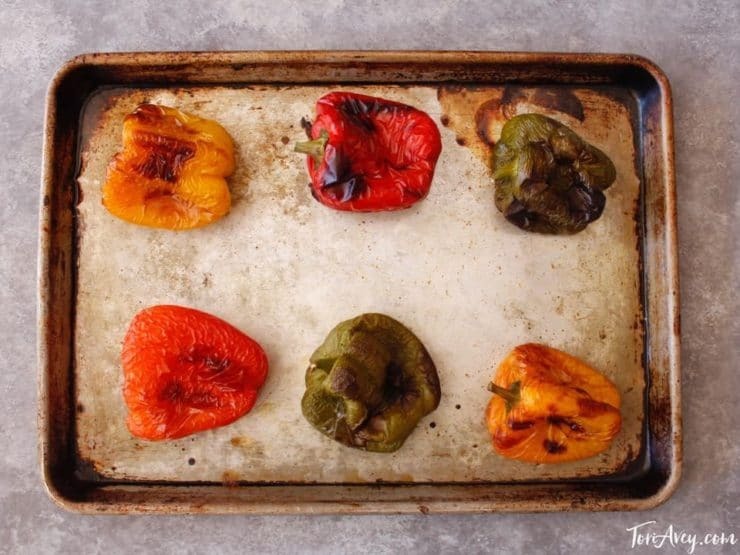 How long can they be frozen after roasting? 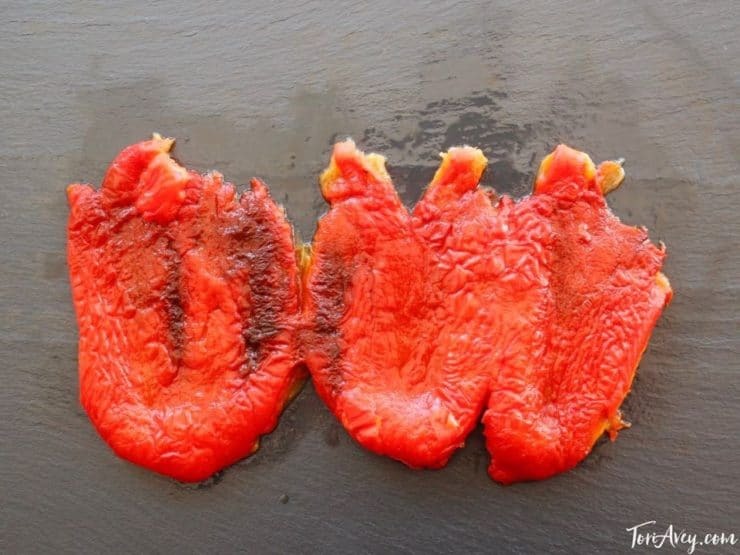 Hi Estera, I have found that vegetables freeze well for about 12 months. 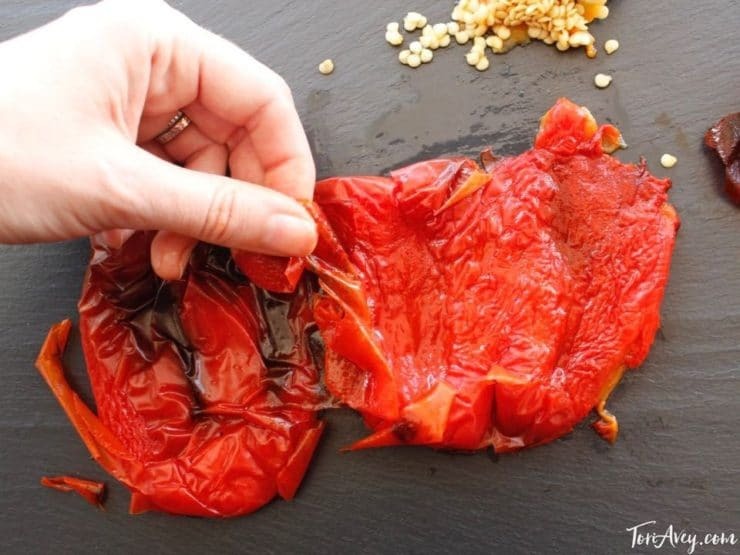 After that you will start to lose some texture and flavor. Hope that helps! I really liked how comprehensive the photos make the whole procedure! My peppers came out perfect! 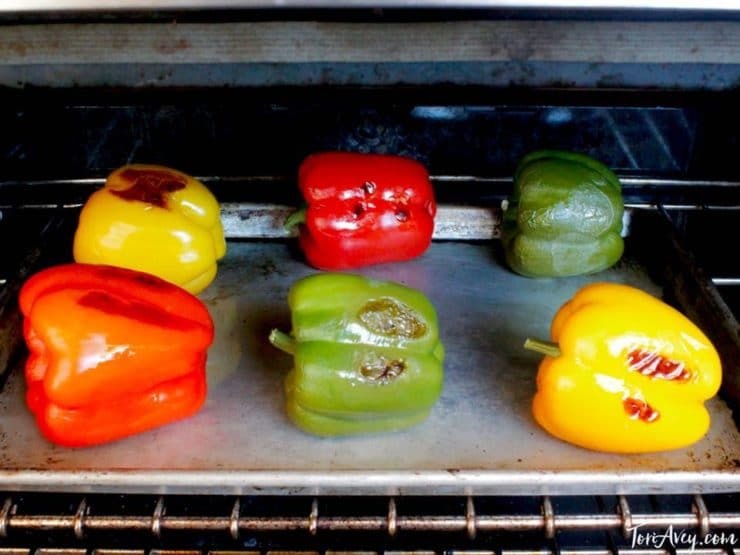 (oven method) THANK YOU!!!! 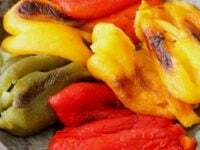 Great recipe – thank you for sharing! 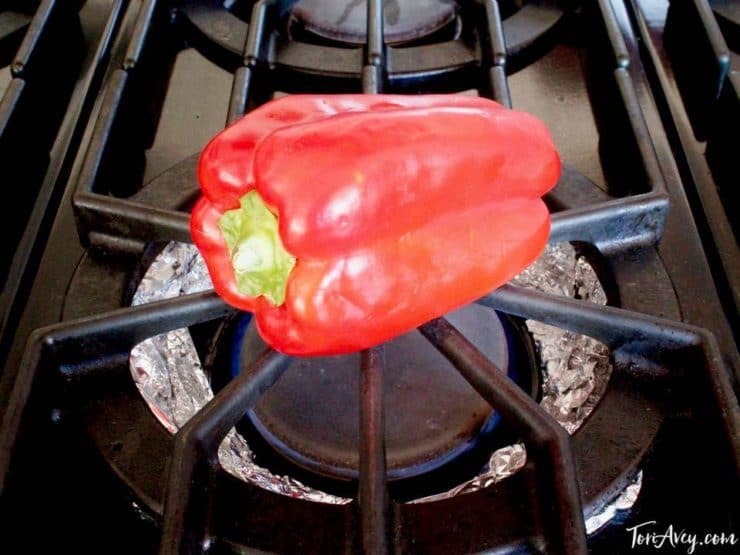 How can I roast the peppers with electric stove & oven? Carol, the instructions for oven roasting appear above. 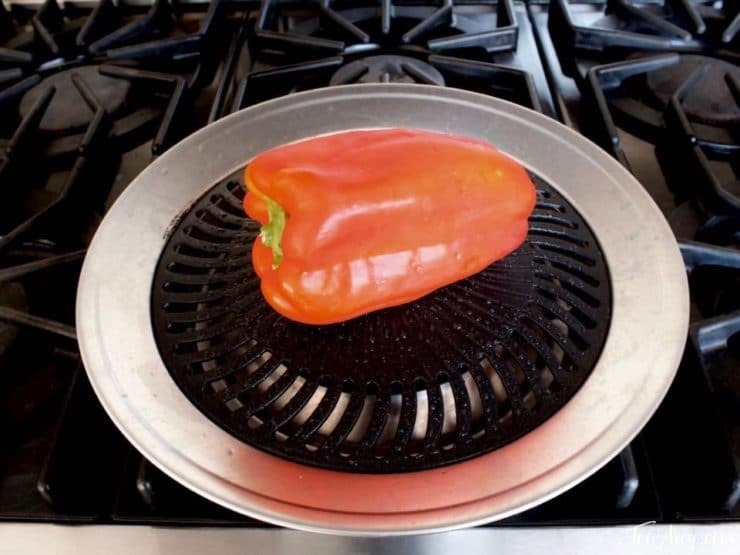 For an electric range (stovetop) you would need a grill pan, so using your oven with broiler is probably the easiest way. 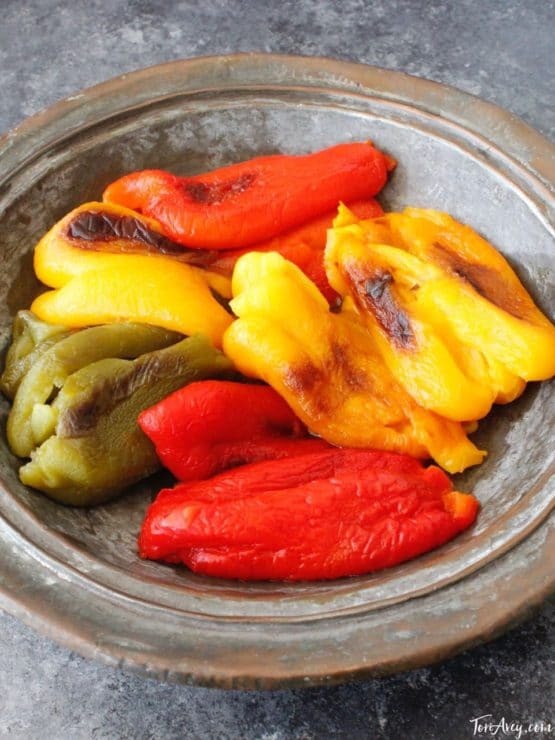 Thanks for variable ways to roast peppers. 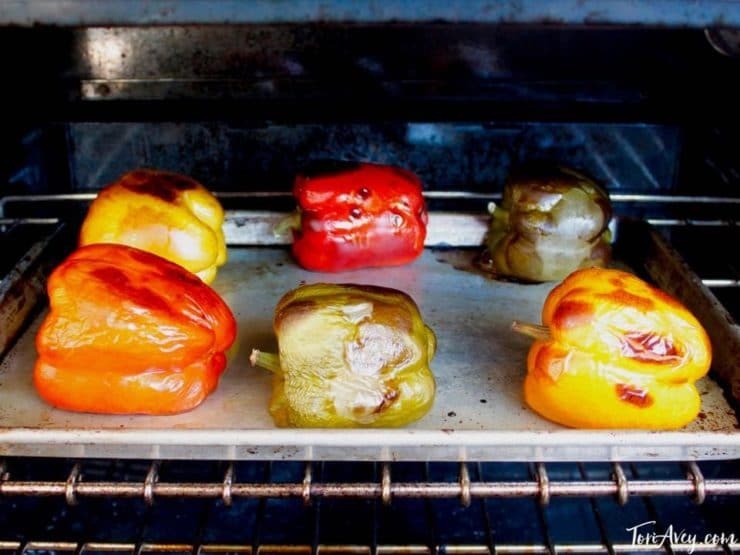 I don’t have a gas stove or a grill, so the oven method (broiler) is perfect!